When looking for a credit card, you might come across different features and types of credit cards. It is important to know the differences between them so you choose the credit card that best suits your needs. Below we put together a quick guide on the different types of credit card and when to use them. Enjoy! Some credit cards have very high interest rates and fees which can add up quickly. When looking at what card might suit you, consider one that has a low interest rate or low fees. If you always pay off your credit card in full each month, look for one that offers interest-free days. This means you pay no interest for a certain number of days after making a purchase (for example, 55 days). 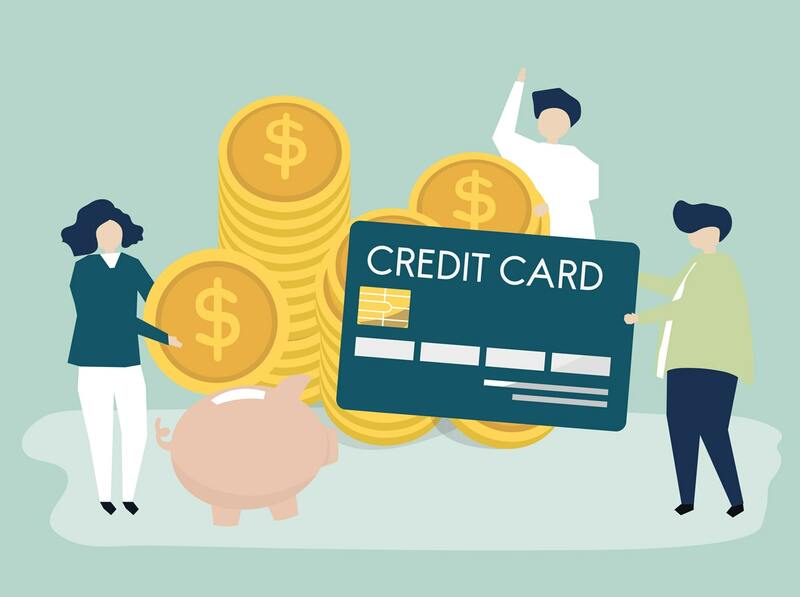 These cards may charge higher interest rates and annual fees, but if you pay off your debt within the interest-free period, you’ll avoid paying interest altogether, so the higher annual fee may be worth it. If you know you won’t be paying your debt in full straight away, consider a card with no interest-free days. You’ll usually pay lower annual fees and less interest, either from the day of purchase or the day your monthly statement is issued. Sometimes credit cards offer an introductory or ‘honeymoon’ interest rate. Check how much the interest rate will rise at the end of the honeymoon period, and what fees and charges come with the offer. A card with higher fees might wipe out your honeymoon savings before long. The same principle applies to offers of ‘no fees for 12 months’. This is when you transfer your outstanding balance from one credit card to another, often at a lower interest rate for a certain time (for example, 4.9% for 6 months). You can get the full benefit of this by paying off the balance transfer amount within the balance transfer period. Just make sure you check the interest rate that will apply once the balance transfer period is over. If you use your new card to buy something, your purchase will usually attract the full interest rate of the new card (not the special balance transfer rate). It is a good idea to check how different credit card features may apply when you transfer your balance to a new card. For example, you may be unable to take advantage of any interest-free period on new purchases until the balance transfer amount is paid in full. After transferring your balance, close the old card. If you don’t, you may still have to pay fees, even if you no longer use the card. Closing the account also reduces the temptation to spend on both cards, which would add to your debt. Payments you make on your new card could be applied to the balance with the highest interest rate (for example, purchases you made at the standard interest rate or cash advances at the cash rate, whichever has a higher interest rate). If you have not paid off the full balance transfer amount when the balance transfer period ends, the amount remaining will be charged at the standard interest rate or cash advance rate (which may be higher). Here are some other features to consider when you are choosing a credit card. Credit cards with cashback: ‘Cash back’ credit cards give you back some credit on your account. But the benefits are quickly outweighed if the card has a higher than usual interest rate. If you don’t pay the whole balance off each month, this kind of offer is not for you. Discounts on goods and services: Some credit card providers offer discounts on goods and services purchased through their own or partner organisations. This can be a great way to save money on items you are likely to purchase, but you should check whether these savings will be outweighed by any fees or higher interest on the card. Credit card reward schemes: Some cards offer points for every dollar you spend on the card. See reward schemes for more information. Credit card travel insurance: Some credit cards come with travel insurance. If this is something you think you’d take advantage of then find out if your provider offers it. Find out more about credit card travel insurance.